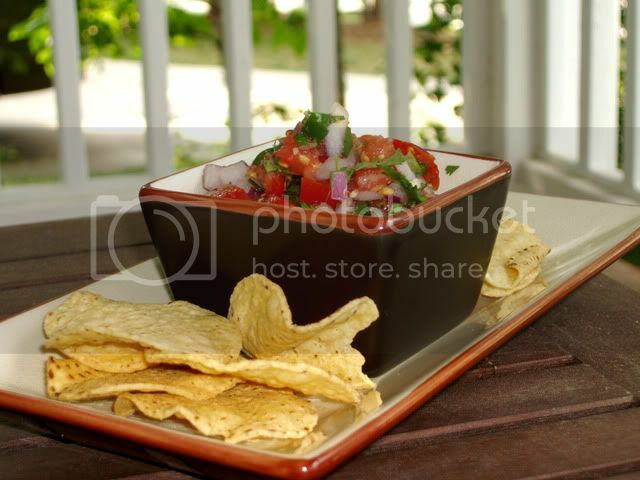 Hobo Mama: Hobo Kitchen: Sam's pico de gallo — using up tomatoes! Hobo Kitchen: Sam's pico de gallo — using up tomatoes! I hope that some of you lucky gardeners have an overabundance of homegrown tomatoes round about now. We have had about 3 red tomatoes between us and a whole heaping bunch of green ones still hanging out on the plants, taunting us. Here's for sunlight tempting them to ripen before frost! Good thing it was tasty. If you didn't take Spanish in high school as I did (yes, of course, I'm fluent!) (not really), the last word is pronounced like the word "guy" with an O on the end. But, no, it's not the word for "dude" in Spanish. The phrase means "beak of the rooster," but don't ask me why. I'm republishing this recipe from last year, because I'm on vacation and am allowed to do things like that. There are no particular rules for how much of a certain item you need to put in. That's why it's perfect if you have a bunch of tomatoes but not as much of the other things. If the combination you make feels too heavy on one item or another, remember that for next time, or balance it out if you have extra ingredients still on hand. There's no wrong way to make pico de gallo, as long as it tastes good to you! For best taste, let it sit in the fridge for awhile to let the flavors blend together. But if you can't resist eating it right away, I understand. I couldn't tell you how well this keeps, because ours never stays around that long. If I had to guess, I would imagine canning is possible, but freezing will change the texture of the tomatoes. But, as is, it makes a very nice treat for young mouths. It's mild enough for even very early eaters to give it a go, and since it's chunky, little fingers or adult helpers can preselect portions that will be appreciated. Adding heat's always an option for more adventurous mouths, but even without a lot of spice, it's refreshing to have this mild, fresh, juicy and crunchy treat. — we even used to have those dishes! Linked up at Vegetarian Foodie Fridays at Breastfeeding Moms Unite!, Foodie Friday at Designs by Gollum, Fight Back Friday at Food Renegade, Friday Food at Momtrends, Food on Friday at Ann Kroeker, Wholesome Whole Foods at Health Food Lover, Friday Favorites at Simply Sweet Home. My apologies in advance if I don't do much commenting, because our internet access is sketchy. Wow - cabbage! I love pico de gallo and would never in a million years thought of putting cabbage in it. but next time I will. Oh yes I will! Thank you!! It looks so good! And fresh! 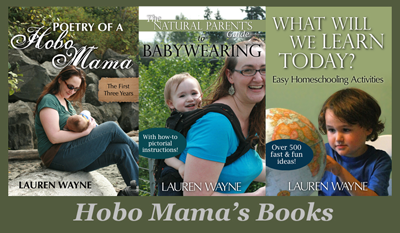 Hobo Mama calling cards: Surprise giveaway! When (& how) to leave children at night?